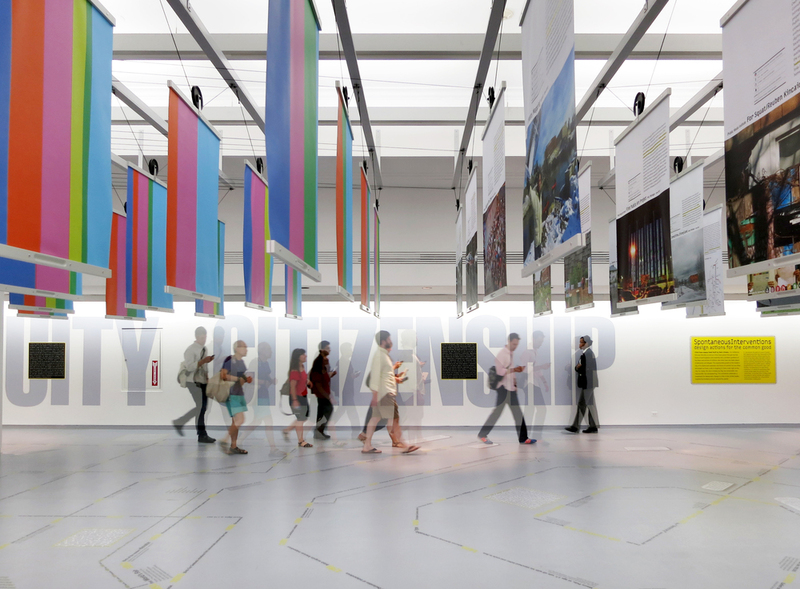 The US Pavilion at the 2012 Venice Architecture Biennale, curated by Cathy Lang Ho, features an installation rather than a conventional exhibition of projects. 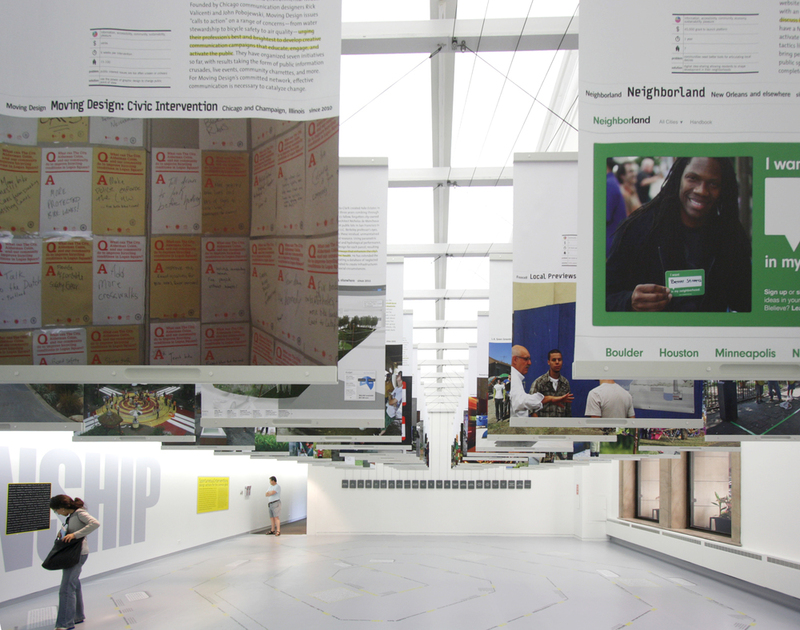 It consists of a lively system of banners to present a collection of 124 actionable strategies aimed at bringing immediate improvements to the urban public realm. Freecell collaborated closely with communication design studio M-A-D, led by Erik Adigard and Patricia McShane, to design an enveloping environment that puts Spontaneous Interventions in a broader historical and cultural context. Freecell designed a kinetic system, employing banners, counterweights, and pulleys, in which the viewer needs to reach to pull information from the sky. This traveling exhibition was also shown at the Chicago Cultural Center in Chicago, Illinois, and on Governor's Island in NYC.